Breakfasts are always tough for me. I hate to wake up early, and I’m usually better when I can grab and go. 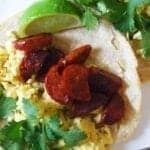 I love Chorizo and egg breakfast tacos for that reason! 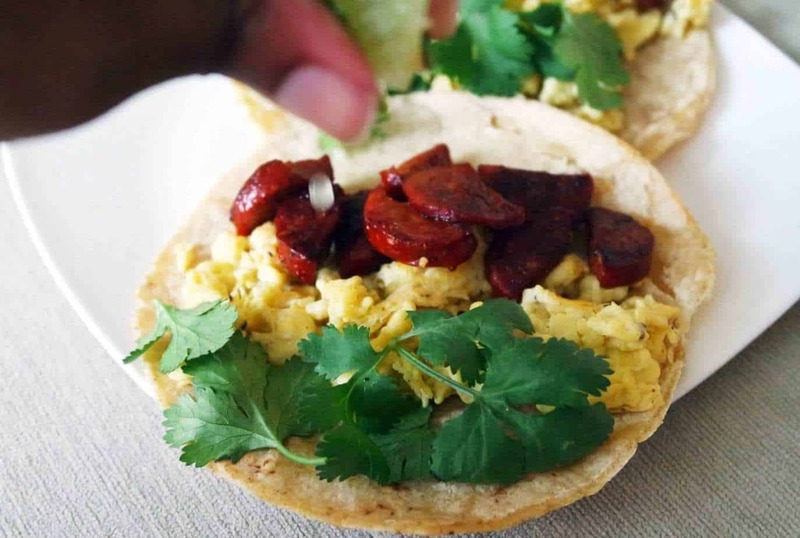 Chorizo and egg breakfast tacos are good for a few reasons. They’re a great macro balance of protein, fats, and carbs, and they’re also so pretty and colorful. 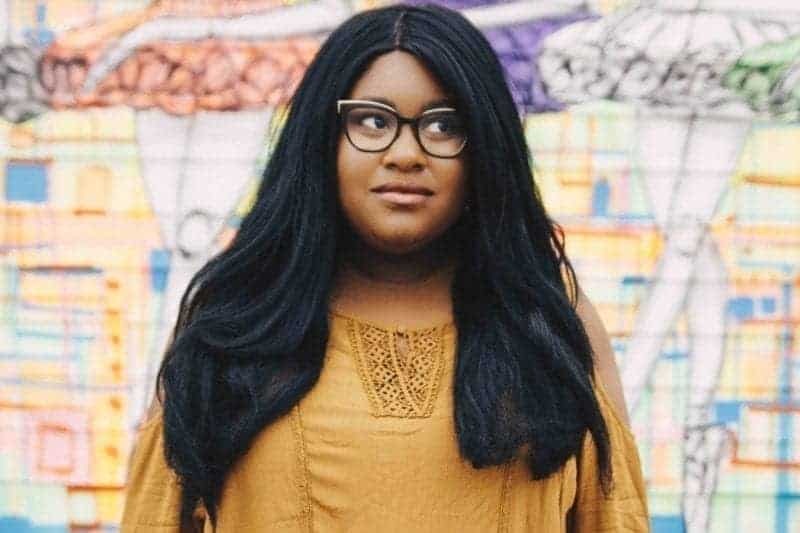 I also like breakfasts that will fill me up for the morning – especially when I have to take a ton of meetings, or I don’t have access to snacks. Depending on how much time you have, you can cook the chorizo and eggs together. 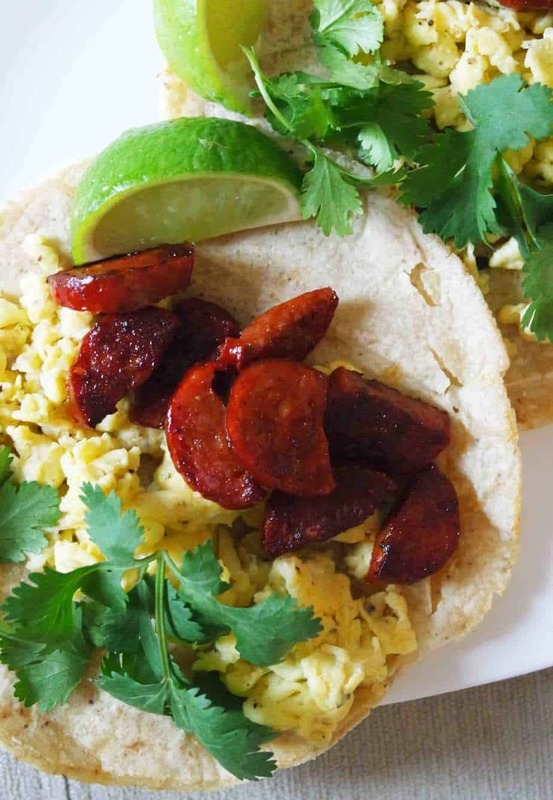 Chorizo is smokey and salty so it pairs great with the eggs. Chorizo sometimes comes ground, but mine came in a link so I chopped it into bite-sized pieces for the tacos. Corn tortillas also paired best with these tacos. They’re strong and give each taco a good structure. I add cilantro, and cheese is also an option too – Mexican crema or cotija! Either are great. And then finally, the lime! A little spritz of lime makes these just perfect! Breakfast tacos are a great meal for a few reasons. 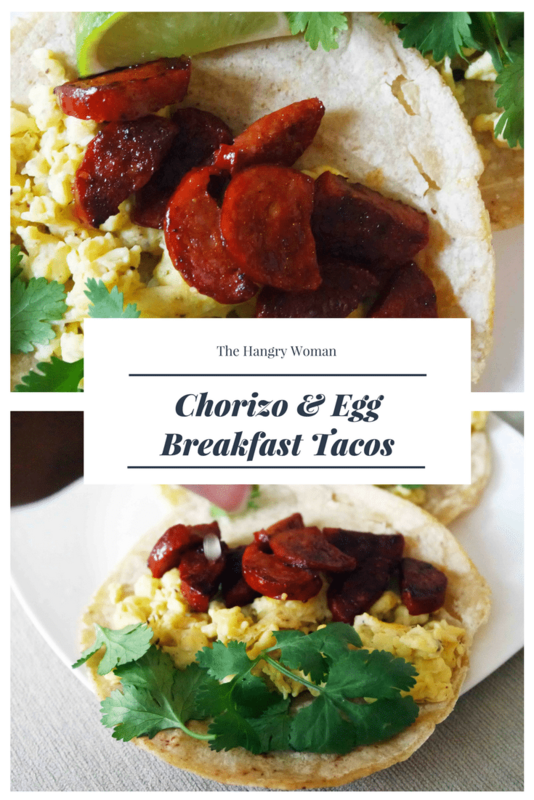 Check out the recipe for my Chorizo and Egg Breakfast Tacos below, and give me an idea of other breakfast tacos I should try! 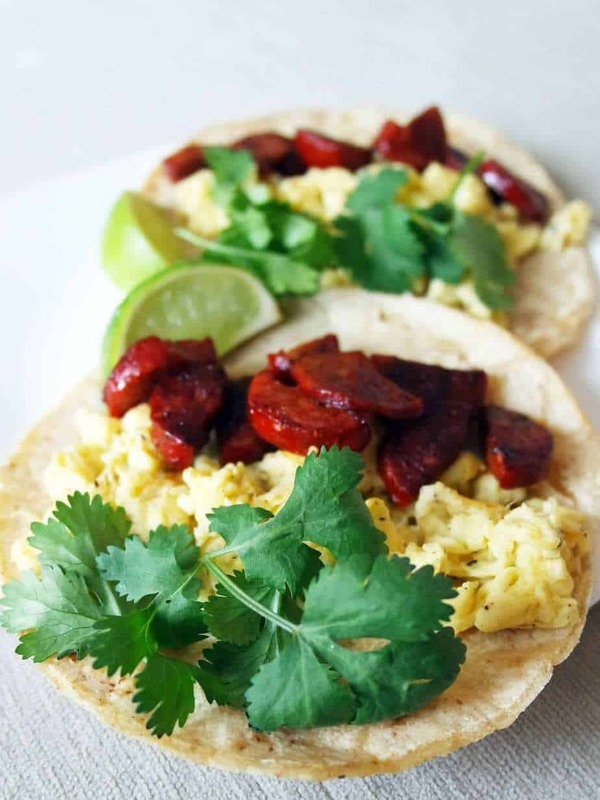 Chorizo and Egg breakfast tacos are simple and delicious! Add any toppings you love and get to breakfast! Crack your eggs and beat them with the salt, cayenne pepper and cracked black pepper. Place the chorizo in the pan - until they\'re cooked all the way through. Turn the pan down to low heat, and cook the eggs. Let them set in the pan until the edges are cooked and then stir them until they come together. Load your tacos with a layer of egg, chorizo, and then top with cilantro. Sprinkle lime up to and enjoy! 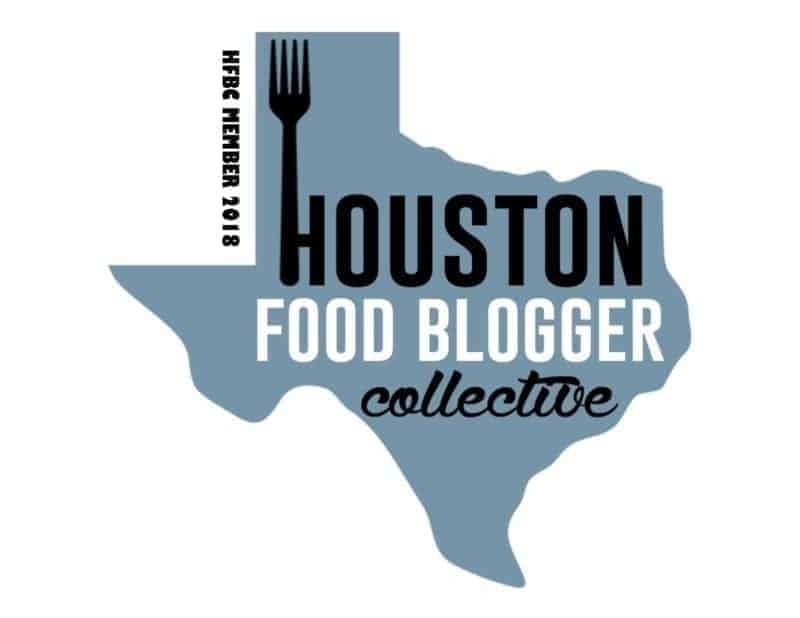 Previous Post National Kolache Day starts right here in Houston. I can eat this with type 2 diabetes? Absolutely! I like to go with low-carb tortillas (mission has some great ones that taste good and are high fiber). The rest is just protein and fat. These are the best. Tacos are so easy to share, too. Oh yummy, I love breakfast tacos and these look great! I must admit, I’ve never tried chorizo though! Um, YES please!! I love breakfasts like these. They fill me up until lunch and don’t take much time at all. Looks so amazing! Never thought of “tacos” for breakfast, but this looks absolutely delicious. Pinning! A yummy and lovely looking dish. Would be happy to serve it to visitors. This looks really good! Definitely need to save this recipe for later. Breakfast + Tacos=Genius!!! Othe than the cilantro these look amazing! Yum!! I had a green smoothie for breakfast this morning and boy oh boy am I wishing I had this instead! Mmmmm! These look super good! I might have to add this to my menu next week!